Two men have been arrested following an assault and attempted robbery at the Straiton Retail Park earlier this year. 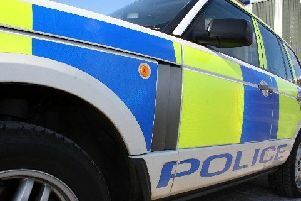 A 24-year-old man was sitting within his car in the car park outside the Carphone Warehouse store when he was assaulted and dragged out before an attempt was made to steal the vehicle. Following continued inquiries by Dalkeith CID, the pair aged 24 and 26 were charged and will appear in court at a later date.